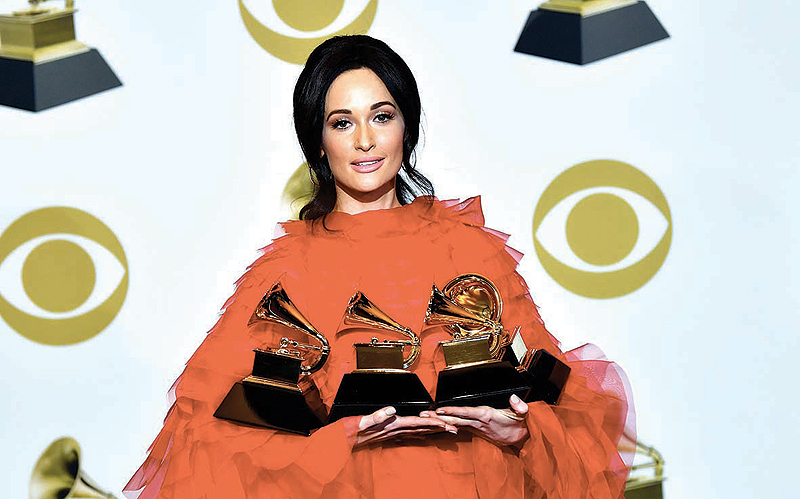 Kacey Musgraves poses with her awards for Album Of The Year “Golden Hour” and for Best Country Album with “Golden Hour”, Best Country Song “Space Cowboy” and Best Country Solo Performance “Butterflies”. A bold streak of feminism ran through the Grammys gala on Sunday, as women artists dominated in the competition and on the concert stage-while rappers Cardi B and Childish Gambino delivered a history-making night for hip-hop. Gambino-the musical alter ego of actor Donald Glover-posted four big wins for his provocative hit “This Is America,” but did not attend the star-studded ceremony in Los Angeles. In any event, the night belonged to the ladies. One year after they were largely snubbed in major categories, and the head of the Recording Academy sparked outrage for telling them to “step up,” they made their presence felt-and heard. The trembling star, fresh off a rousing performance of her hit “Money,” delivered an emotional speech alongside her husband Offset of the rap trio Migos about making the album in the early days of her pregnancy. Gambino’s win marked the first time a rap track won either Song of the Year, which honors best songwriting, or the Record of the Year award for best overall song. Musgraves’ third studio album bested a crowded field of heavyweights for top honors including rappers Kendrick Lamar and Drake-both of whom ended the night with just one win each. Host Alicia Keys got the show at the Staples Center off to an emphatic start when she introduced a few of her friends-including former first lady Michelle Obama. Obama delighted the audience when she came on stage alongside Keys, Lady Gaga, Jennifer Lopez and actress Jada Pinkett-Smith to deliver a strong message about diversity and female empowerment. Brandi Carlile-this year’s most nominated woman-won her first three Grammys ever, in the Americana and American Roots categories. The night struck a positive note that some change may be afoot at the Recording Academy, which has faced intense backlash over its apparent struggle to embrace diversity. 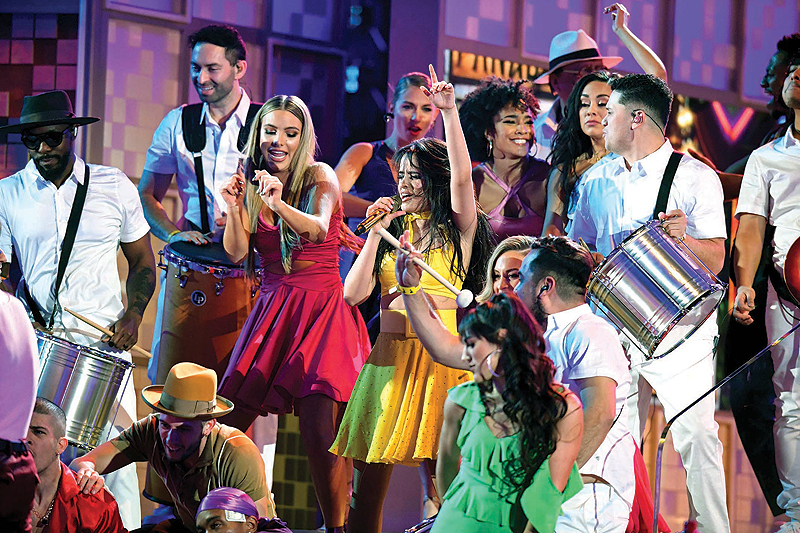 Rising pop star Camila Cabello opened the show with Ricky Martin, J Balvin and rapper Young Thug for an electric bilingual performance. Pop futurist Janelle Monae wowed the crowd with an edgy performance backed by an entourage of female dancers, dropping the line of the night: “Let the **** have a monologue.” And Lady Gaga delivered a stunning rendition of her hit “Shallow”-in a decidedly Gaga-esque bejeweled catsuit and sky-high disco boots.